We have to be able to breed a product that is a saleable item. We have the most deserning clients who like to see consistency across the line of bulls we offer. Our clients are very interested in bulls that are phenotypically superior animals. The bulls that are sound in structure with the most meat and strength of bone are always in high demand. While the demand for polled bulls is growing top quality bulls are sort after regardless of whether they are polled or horned. 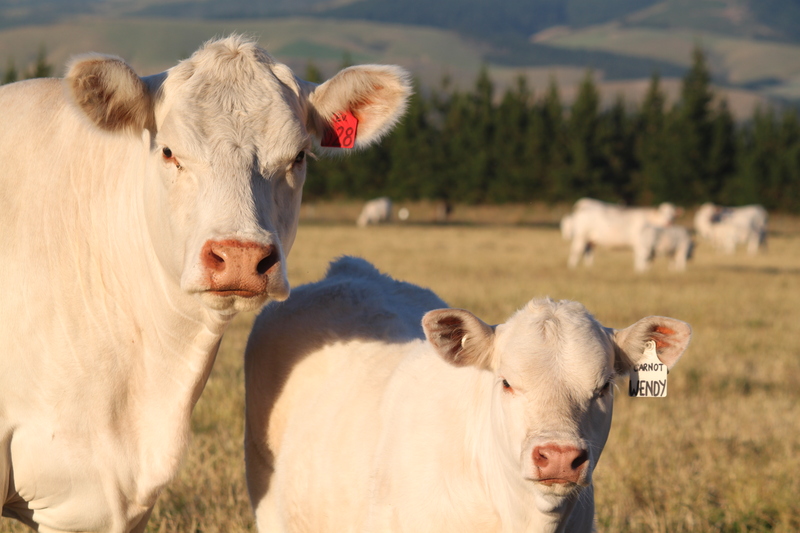 The dairy industry in N.Z has pushed the beef cow herd back into very marginal country. The bulls we sell are mated to the cows on steep country and in large areas. The structure of the bulls is vital. They have to be able to serve cows on the side of a hill, follow them up gullys and down steep tracks. Moderate bulls with good constitution are most sort after as they have to be tough to withstand these conditions in N.Z’s driest months. With the new fodder beet finishing system that has become popular in New Zealand there will be a bigger demand for terminal sires. This system suits cattle that are fast finishing and can reach carcass weights over 300kg at 14-17 months of age. Our findings are that genetics have a big part to play in this. The bulls breeding these calves need to have growth and softness in a moderate frame. The bulls need to breed calves that have width across their back as this improves dressing out percent.